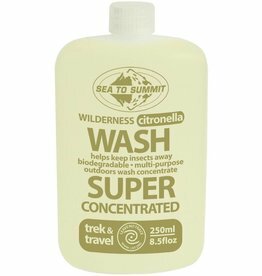 Super concentrated Wilderness Wash goes a long, long way and is gentle on fabrics and skin but effective on dishes and laundry stains. 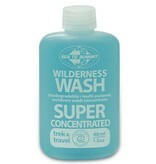 It's biodegradable, phosphate and fragrance free. 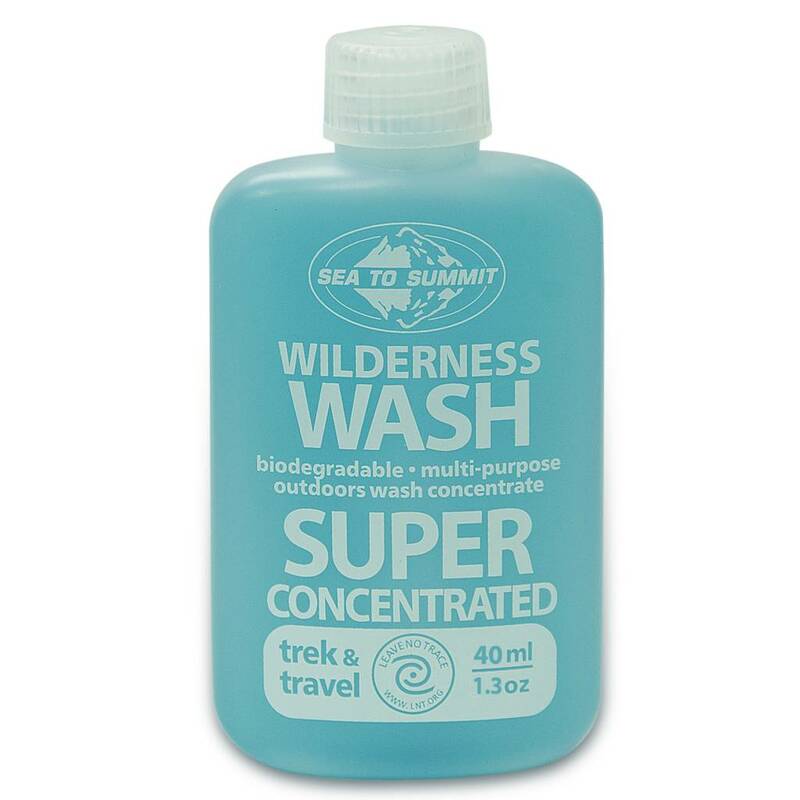 Sea to Summit also made sure that the bottle it comes in is tough enough and the lid secure enough so you don't have to worry about leakage in your pack or bag.